The Ballardvale Playground was completely renovated and redesigned in 2015 and completed in 2016. The current site covers 2.2 acres of land and was acquired in two separate parcels by the Town of Andover. This lot at 160 Andover St. is the north end of the playground purchased on Dec. 31, 1951 and is one acre. It contains the a newly orientated baseball diamond. The south end of the playground, 164-168 Andover St. was acquired on May 8, 1945 and contains 1.2 acres now housing the parking area, playground equipment for children and an all purpose court. The south section of the playground has a unique history. If one stands with their back to the fire station and looks across the playground to the railroad tracks, you must imagine a road running through the parcel and over the tracks to the MBTA lot beyond. This road was called Mechanics Street and gave access to the Ballard Vale Machine Shop that was formerly located on the parking lot of the MBTA. It would become the Whipple File & Steel Co. in the 1860s and later Craighead & Kintz Co.
On the south corner of Mechanics and Andover Street stood the Ballard Vale House, a large hotel and tenement building which ended at Clinton Court. On the north side of Mechanics Court was the Abbot Hat Factory building which comprised the one acre now the site of the baseball field. The 1885 Birdseye map of Ballardvale pictured above shows the hat factory building, marked "H" as the Raw Hide Manufacturing Co. The Abbot Hat Company was established by Alfred Kittredge of Haverhill, MA in 1863. Kittredge then deeds the property to the Abbot Hat Company on Dec. 5, 1863 which comprises three parcels: the factory lot here, the tenement house known as Block #3 at #40 Center St. (Lot #25) and the six tenement known as the "Schooner Block" on the corner of Oak and Center Streets, now demolished. Abbot Hat Company then acquired a fourth parcel of land on Andover St. on May 16, 1864. The Andover Advertiser - June 18, 1864 p.2 - BV - "The Hat Factory is approaching completion, which will employ a large number of hands." Alfred Kittredge was the president of the company in 1864 and held 160 shares of stock. On April 20, 1865 the stockholders met in Boston and voted to sell the business and property. 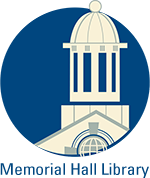 Hart, Taylor & Co. held 10 shares, L. D. Richardson 30 shares, Samuel R. Richards 55 shares, Charles H. Peabody 30 shares and James B. Potter 8 shares. Augustus Russ, esquire, was the Clerk. The property was bought by Hart, Taylor & Co of Boston June 8, 1865. The partners,Thomas W. Hart, Frederick B. Taylor and Orin B. North paid $10,000. Hart would then sell the property to the Whipple File Manufacturing Co. on Aug. 28, 1865 at the same price. It is not known what the Whipple File Co. used the Hat Factory building for but the Ballard Vale house and two tenement block were for housing their employees. 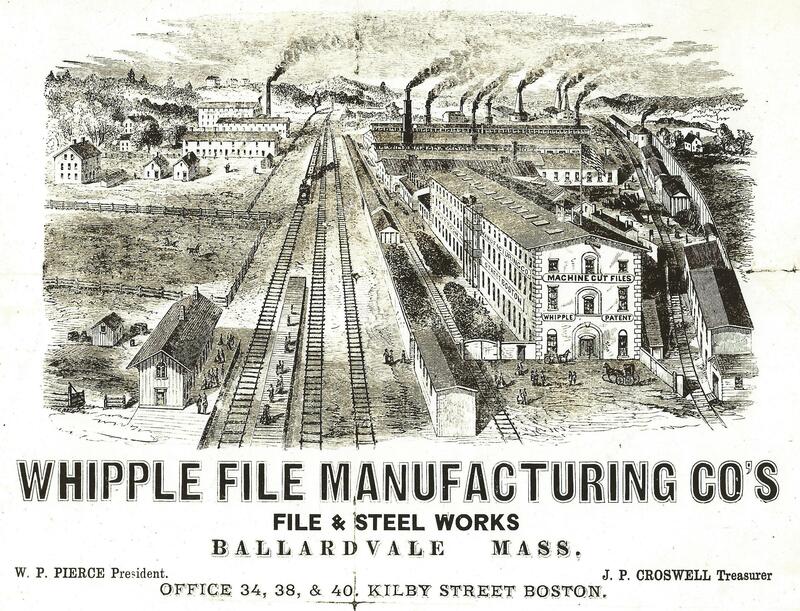 The Whipple File Manufacturing Co, went into bankruptcy in 1871 and the company holdings were assigned to Edward L. Page, John W. Beals, Thomas J. Homer, and Thornton K. Lathrop on June 21, 1871. Stephen Blaney, of Peabody, a wool buyer purchased the former Abbot Hat Factory building and much of the property along Andover St. on July 1, 1871. The 1872 Ballardvale map list the Hat Factory as the Blaney Shoe Factory. Blaney also held the Ballard Vale House. The Andover Advertiser on Jan. 26, 1872 Ballardvale reported on the opening and dedication of the new firehouse. After the ceremonies "Those whose fancy led them, repaired to Hat Factory Hall, where in, "light, tripping measure," an hour or two was spent quite sociably; everything passed off in a quiet and orderly manner." Andover Advertiser; March 2, 1882 - "Stephen Blaney of Peabody has sold the old Hat Shop property in Ballard Vale to the Boston Chair Seating Company. This building has been occupied by the company for some months." John Rowe Jr. purchased the factory parcel on Mar. 17, 1882 then selling to the Boston Chair Seating Co. on Mar. 20, 1882. Ebenezer M. McPherson President and Albert M. Knight Treasurer. On June 27, 1883 the company changed their name to the Rawhide Manufacturing Co.of N.H. The 1884 map of the village lists a R. H. Chester on the building. The Sutcliff Brothers, Frederick, Walter P. & Daniel W. Sutcliff purchased the building on Aug. 20, 1887 and held the property for 27 years. In 1896 the "Snow Drift Rubber Shoe company leased the "Hat Shop" in Ballardvale". The town took the property for back taxes in 1914 and then sold at auction to Florence L. Rockwell, wife of Henry on Oct. 2, 1914. The 1920 Andover Valuation schedule lists Florence Rockwell of North Andover with 1 acre of land on Andover, St. BV $150. It appears the Hat Shop building was razed between 1914-1920. Rockwell owned for 37 years then selling to the Inhabitants of the Town of Andover on Dec. 31, 1951. The property was then added to the playground lot on the south purchased in 1945. Rawhide Manufacturing Co. June 27, 1883 - Ebenezer M. McPherson Pres. Albert M. Knight Treas. Major Alterations 2015 redesigned diamond and location of home plate to south corner.